Fans and competitors of Jack Nicklaus knew he had very few weaknesses in his legendary, record-setting golf career. There is, however, one weakness he confesses to off the course — ice cream — and now he’s giving into it and sharing it with the public. 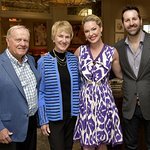 In a partnership between two great family-owned companies, rooted in the Midwest, comes Jack Nicklaus premium ice cream, manufactured by a division of The Schwan Food Company — the 60-year-old Minnesota-based manufacturer and marketer of fine frozen foods and nationally renowned for its home delivery service. The new Jack Nicklaus pint-sized ice cream will be available at Winn Dixie, Bi-Lo and Kroger stores in select markets with a suggested retail price of $1.99. The ice cream comes in seven rich and creamy varieties, loaded with real ingredients. Flavors include: Warm Spiced Butter Pecan, Chocolate Peanut Butter Swirl, Salted Caramel Toffee, Strawberry Lemonade, Triple Chocolate, Coffee and Donuts, and Homemade Vanilla. To launch the new business endeavor, Jack Nicklaus teamed up with Schwan’s Global Supply Chain, Inc. (“Schwan”). With a shared commitment to philanthropy, Schwan has become a supporter of the Nicklaus Children’s Health Care Foundation (nchcf.org). The Foundation’s goal is to provide families access to world-class pediatric healthcare. Beyond the ice cream pilot program in 2015, the Nicklauses hope to tie in other children’s charities to sales of the product. Between Jack, his wife Barbara, and Schwan, there was a detailed collaboration to perfect the line. 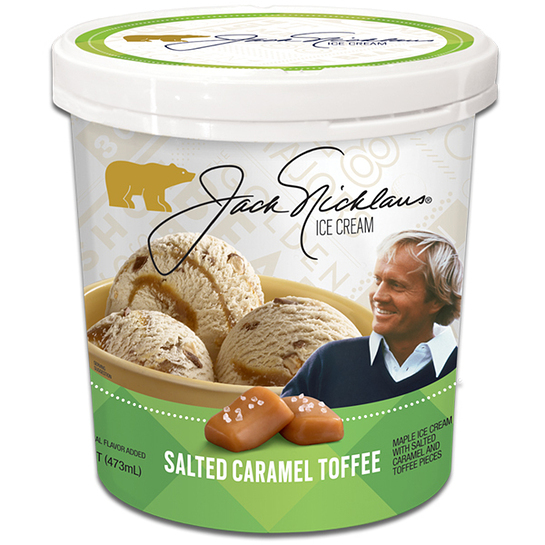 The ice cream introduction extends the Nicklaus Companies efforts to celebrate the life and lifestyle of Jack Nicklaus by introducing quality consumer products, with a philanthropic tie-in. Among the Nicklaus-branded or licensed products introduced in recent years that benefit children’s charities are water, wine, lemonade, sunglasses, and golf balls.